The folder you are looking for is the Amd64 but you NEED the version 10.1802 of USMT. I believe all needed changes to your XML's and more is covered in EhlerTechs Custom XML collection for USMT. They also contain XML's for not scanning system folders and other drives, as well as a method for handling Modern App settings. 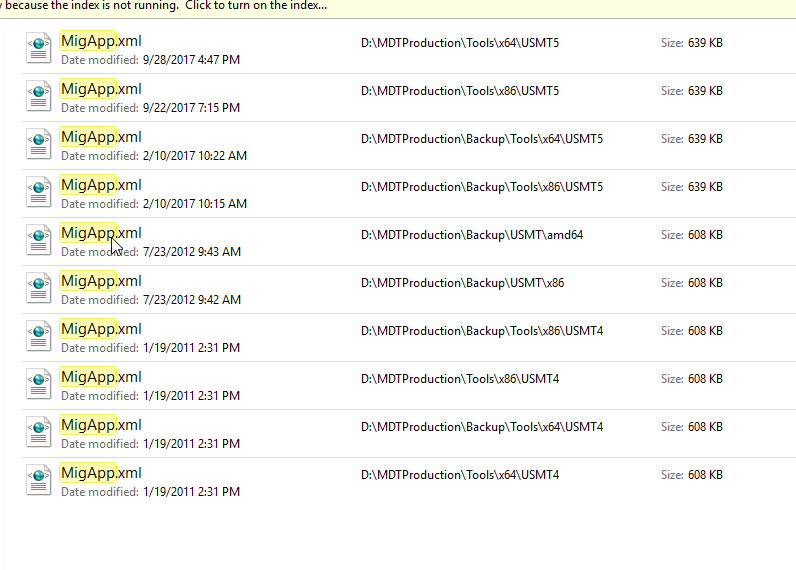 My favorite though is their GUI for USMT, that lets me use USMT on the fly without MDT.